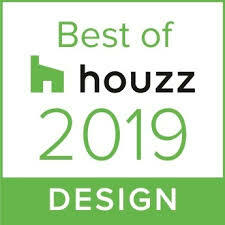 San Diego, CA (February 28, 2019) – LaCantina Doors (LaCantina) has won “Best of Design” on Houzz®, the leading platform for home renovation and design. For the seventh consecutive year, LaCantina was chosen by the more than 40 million monthly unique users that comprise the Houzz community from among more than 2.1 million active home building, remodeling and design industry professionals. The Best of Houzz badge is awarded annually, in three categories: Design, Customer Service and Photography. Design awards honor professionals whose work was the most popular among the Houzz community. A “Best of Houzz 2019” badge will appear on winners’ profiles as a sign of their commitment to excellence. These badges help homeowners identify popular and top-rated home professionals in every metro state area on Houzz. LaCantina Doors is the leader in designing and manufacturing products that create large open spaces. Offering the most innovative and comprehensive range of folding, sliding and swing systems available. LaCantina Doors utilizes the same signature narrow stile and rail profile across its product line for a complete and perfectly matching door package. Designed and made in California, LaCantina Doors have contributed to award winning products ranging from residential, retail, commercial, educational facilities, resorts and is the preferred choice when it comes to product that open spaces. Backed by an industry leading warranty, LaCantina Doors are available across the U.S. and Internationally. LaCantina Doors was acquired by Jeld-Wen in 2015. Houzz is the leading platform for home remodeling and design, providing people with everything they need to improve their homes from start to finish – online of from a mobile device. From decorating a small room to building a custom home and everything in between, Houzz connects millions of homeowners, home design enthusiasts and home improvement professionals across the country and around the world. With the largest residential design database in the world and a vibrant community empowered by technology, Houzz is the easiest way for people to find inspiration, get advice, buy products and hire the professionals they need to help turn their ideas into reality. Headquartered in Palo Alto, Calif., Houzz also has international offices in London, Berlin, Sydney, Moscow, Tel Aviv and Tokyo. Houzz is a registered trademark of Houzz Inc. worldwide. For more information, visit houzz.com.